The Supreme Constitutional Court of El Salvador rejected abortion last Wednesday, upholding the nation’s constitutional protection of life beginning at conception. The court’s ruling reiterated that “the rights of the mother are not privileged over those of the unborn child (who is to be born) and vice versa.” Every person has an equal right to life. The case has attracted international attention as abortion activists (like Planned Parenthood and Amnesty International) have attempted to pressure El Salvador into opening the door to legalized abortion. For the past few months, a 22-year-old Salvadoran woman known as “Beatriz” has been exploited to undermine the country’s constitutional protection of personhood. Abortion activists allege that her life is in danger because she has lupus and kidney difficulties. Furthermore, they assert that her child, who suffers from a severe brain abnormality called anencephaly, possesses no right to life. During the proceedings, however, medical experts testified that the pregnancy posed no serious or immediate threat to the woman’s life. El Salvador’s Institute of Legal Medicine advised against abortion and testified to the Supreme Court that “there is no medical reason to terminate the pregnancy.” Even Beatriz’s own doctors saw no need to carry out an abortion, instead suggesting a Caesarian section if needed. 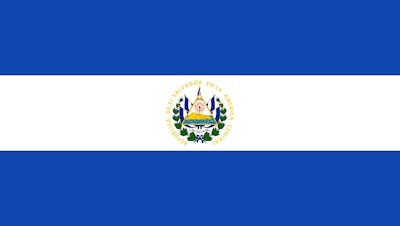 Nevertheless, international abortion proponents, like Nancy Northrup from the Center for Reproductive Rights, have misportrayed the case with inaccurate and sensationalist headlines reading “woman in El Salvador denied life-saving abortion.” A United Nations panel even stuck its nose into the mix by demanding abortion legislation. On Monday, doctors induced delivery via c-section. Beatriz is recovering well, and her baby girl was given similar treatment to any other baby born prematurely. The baby did not survive because of her condition, but she was given palliative treatment with care and dignity. During an abortion, this baby girl would have been violently dismembered in the womb and removed in pieces. The ruling in El Salvador also reaffirmed that the value and dignity of a human being should not be determined by one’s mental capacity or denied because of serious disability. The lives of babies with anencephaly do matter and have value. As one Irish website says, every life counts.